A few days ago, I was walking out of a store with an armful of goodies headed to my car on a beautiful day and it occurred to me that I have the best job. This post is sponsored by Kirklands. That’s right, as part of my job, I get to shop for Christmas decor at Kirklands. Check out Kirkland’s ChristmasLand HERE to find loads of Christmas things. I had so much fun going through all of the goodies, and I hand-picked the things I think are going to be hot, hot this season. Christmas is such a special time at our house. Come on in and I’ll show you around. Here’s my daughter Evie and our collie, Molly. They’re waiting for Dad to come home so we can trim the trees together. It’s a special family tradition that we play Christmas carols and drink hot apple cider while we decorate our tree for Christmas. It’s a special time for our family and we always have fun. Now, I’ll show you around the house. 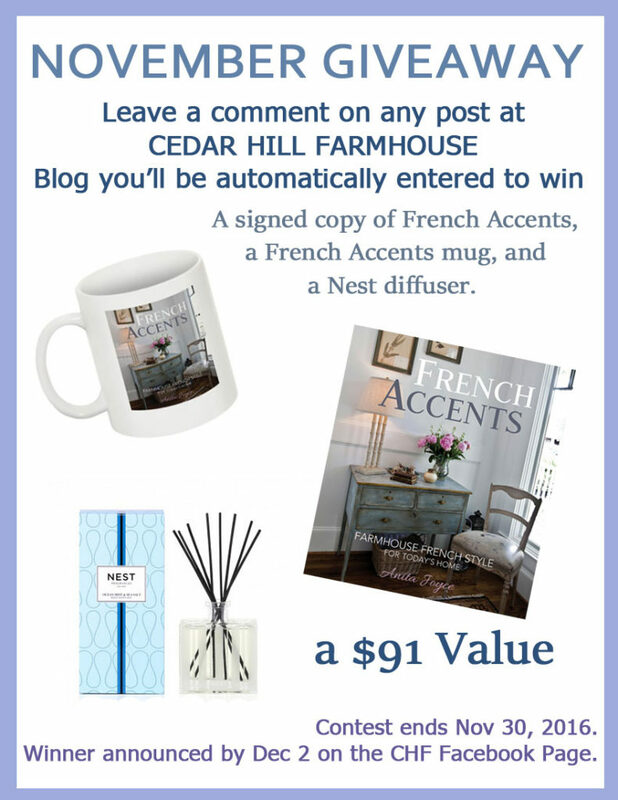 Don’t forget to comment on this post to be automatically entered in my giveaway this month. Click here for details. I was drawn to these adorable bears with the initials. Of course I had to grab an ‘A’ for sure! If you are having a dinner party, wouldn’t these little guys make fantastic party favors? Put one on each plate! The bears are from Kirklands, but I could not find them on the website. I did find them in the store, so check out the stock at your local Kirklands store to find them. I’m also partial to the light up decorations. I love, love, love this NOEL sign. You can turn the lights on or off. As an added bonus, it comes with the greenery. While we are in my kitchen, I wanted you to see I am putting boxwood wreaths all over the place. I am also loving this O HOLY NIGHT artwork. It works so well any where. I have it sitting on a table, but you could even hang it on the wall. 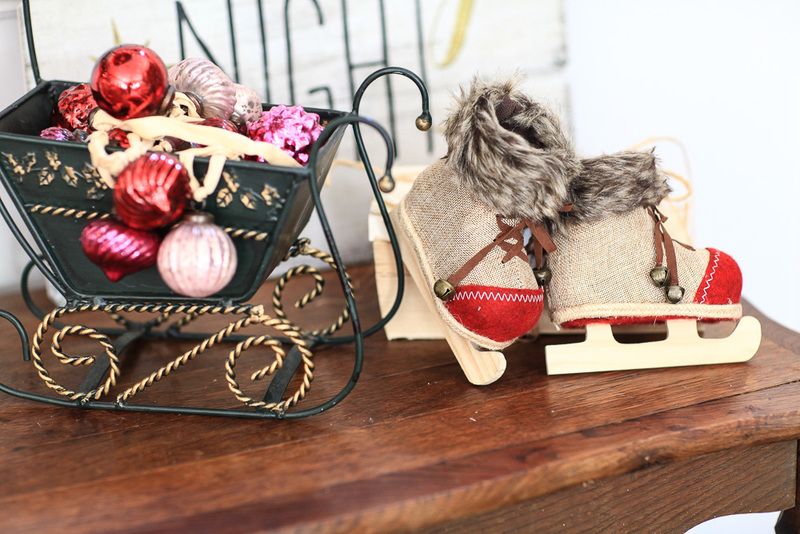 Aren’t these little ice skates adorable? You could hang them on the tree, but I loved using them on my table. I also found these super cute flocked bottle brush trees with the ornaments. I added them to a platter and used them on my table. The trees and red tulips add color to the table. I sprinkled little mercury glass ornaments in the plates. 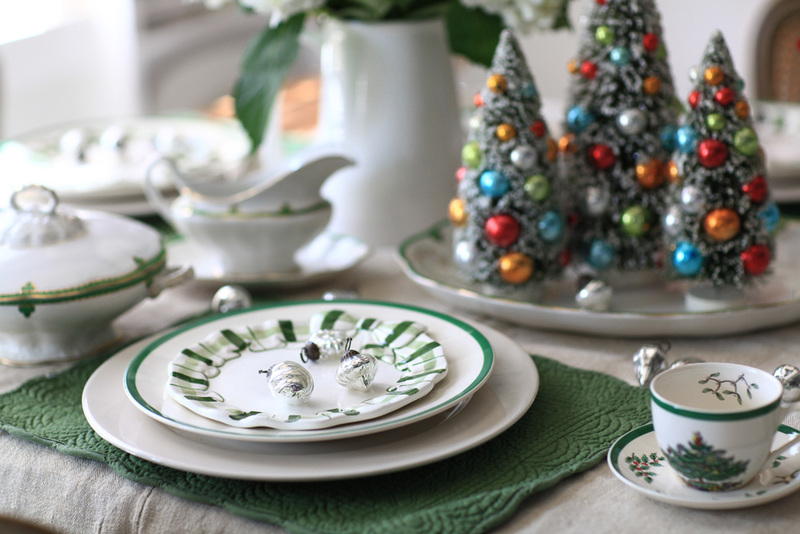 For the place setting I used green plaid ribbon plate on a Spode Christmas plate on a large white plate. 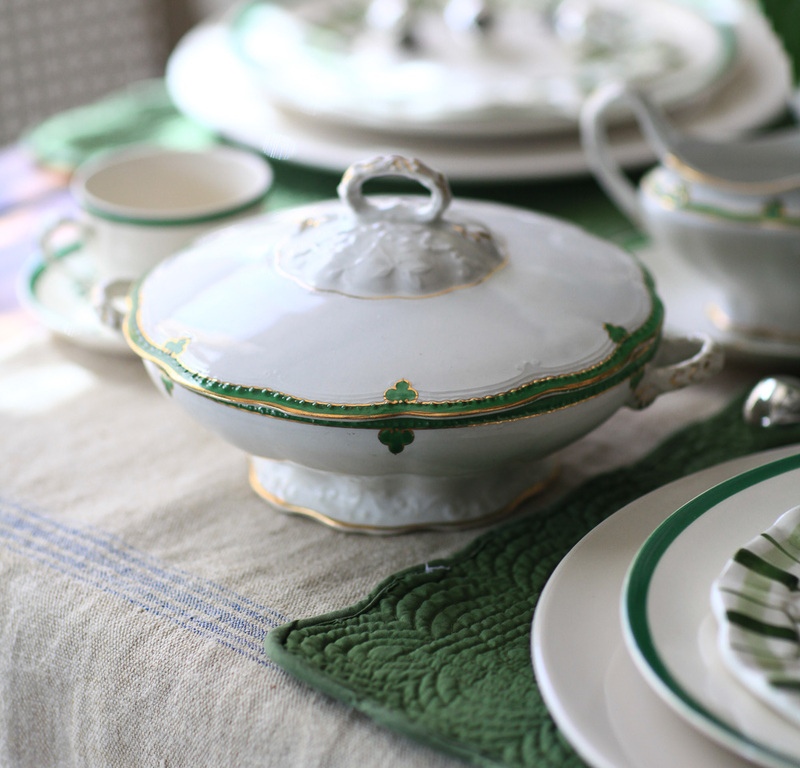 I found some vintage green and white dishes that worked perfectly on the table. They are from the Edwin Knowles China Co. I thought the green and white looked so classic and perfect for the holidays. Not only did I love the NOEL sign with the lights, I also found this charming little wood paneled suburban with the Christmas tree on top. You can turn the car lights on, which makes it doubly adorable. I think this was my family’s favorite. 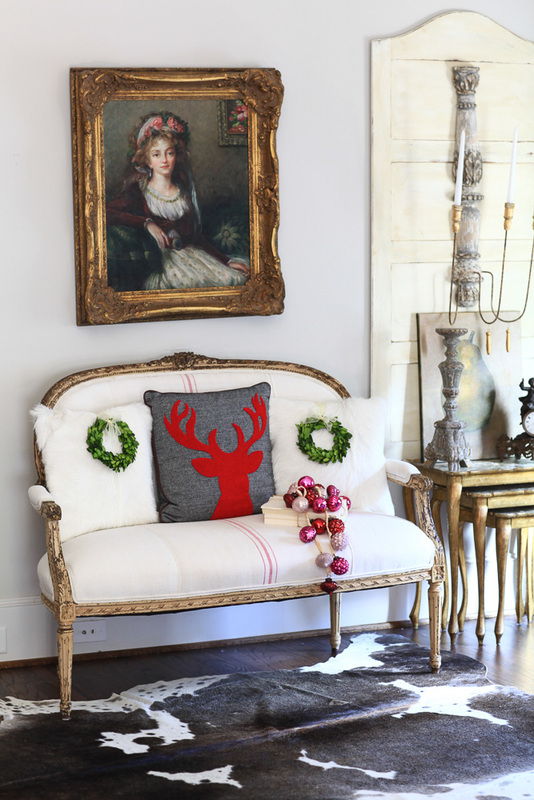 I love this charming Christmas pillow with the deer antlers. The plaid pillow is also perfect for Christmas. I like how both pillows can give your holidays a casual cabin feel. The pillow is from Kirklands, and I bought it in the store. I couldn’t find it at Kirklands online, so check out your local store to find it. I’m sharing the links for each of the products I found at Kirklands below. Check out the other amazing blogs joining me on the Kirklands Christmas tour. Be sure to enter to win a Kirklands Gift Card!! AND for another chance to win, you can join in on the fun with Kirklands on Instagram by using #DoorwaytoChristmaslandContest for a another chance to win one of five $100 Kirklands gift cards. Submissions will be accepted Nov. 4-Nov. 30. Good Luck!! And hope you have a happy start to your holiday season! Thank you Maya. It’s the best job! I have been following you for a while but this is my first reply. It is your beautiful home all decked out for Christmas, I feel I just have to tell you how beautiful it is. You have put me in the spirit! Time to do my own home now. Thank you Maxine! So happy to hear that. Everything looks great and makes me want to join the family lol! Where do you find little boxwood wreaths? I sell them, but they are out of stock right now Lisa. So many pretty things, Anita! 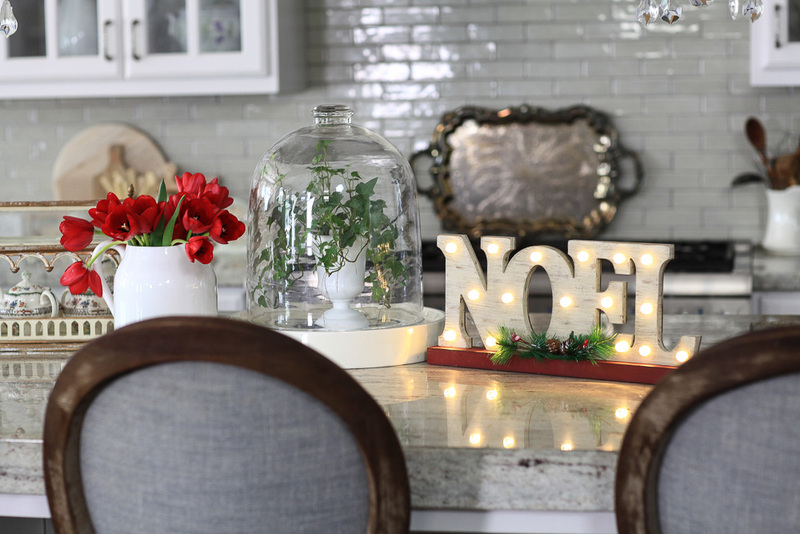 I don’t decorate until after Thanksgiving so I am loving all this inspiration! I am definitely ready to shop for some new pieces. Great giveaway! Thanks Shelley! That’s smart to wait. 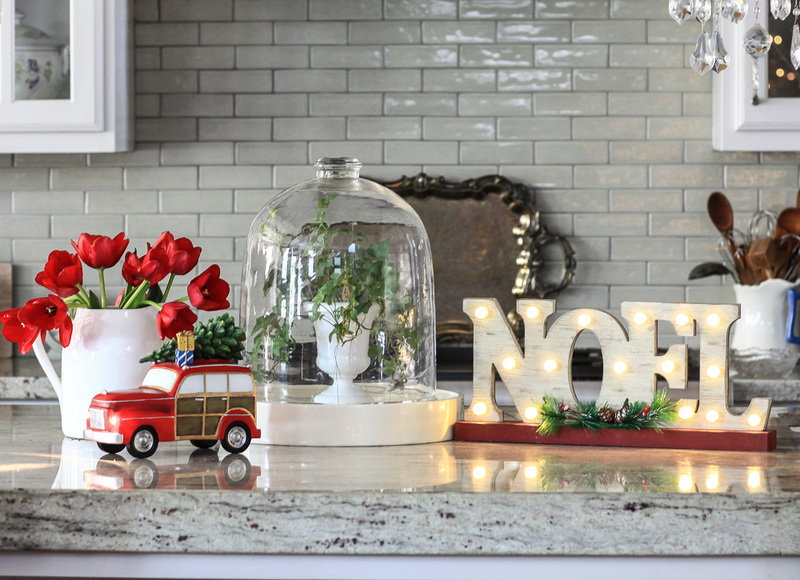 Great picks Anita….so love seeing your home for the Holidays! Thank you Shirley. I am sure yours will be amazing. My favorite is also the little car w/the Christmas Tree. I should own stock in Kirklands—I buy so much stuff there! Lovely vintage holiday decorations. Many of them remind me of my great aunt’s house and how beautifully she would decorate her home for Christmas. Especially love the bottle brush trees! I am also partial to the bottle brush trees Val. I too love boxwood wreaths! I have considered making them. I was wondering have you ever made one and if so how do you keep the greens from turning brown? Thanks. I haven’t made my own, but that would be fun Pat. Thanks Summer. I had so much fun selecting these. I’m not surprised Linda. Have fun decorating. So beautiful Anita. Your daughter Evie is a cutie too and of course Molly too. Your home looks so inviting and cozy for the holidays. Thank you for the chance at your beautiful book and mug. What a great Christmas gift. Happy Wednesday. Everything looks beautiful! 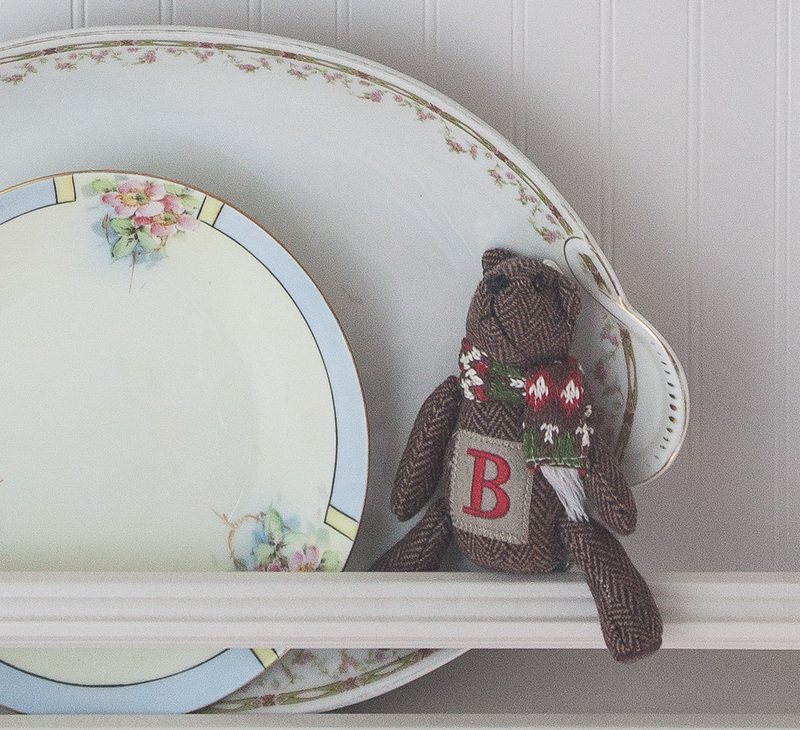 I especially like the banister, and the little bears in the plate rack are so cute! Love it all Anita! I’m chuckling to myself seeing your beautiful daughter with the scarf around her neck, because I know you had to turn the A/C thermostat down for that! I know I’m grateful when it only gets to the low 80’s this time of year, but hopefully it won’t be too much longer until she can wear that scarf outside the house. Love your haul from Kirklands! Oh Ginger, you are funny! Yes she said the scarf was too hot! It was nice and cool this morning though. Hope it’s getting chilly where you are. I love the bottle brush trees and the reindeer pillow, great picks Anita! Where did the bears come from. I do not see them on the kirklands site and I just love them. Judy, the bears are from Kirklands, but I couldn’t find them on the website. They were available in store. My favorites are the bottle brush trees with ornaments. I also liked your simple cloche design with trees inside. I have alot of Christmas “antiques” (collect vintage things) so I am drawn to the vintage look. My Christmas decorating takes at least three days (or more)…energy… because I take EVERYTHING down and just display Christmas. I do not shove anything aside and “stock” shelves. Because of that, I have to wrap and put away before Christmas comes out. But I love the look. I rotate my decor and it comes out in seasons or in a different venue of a season. Decorating is my passion. 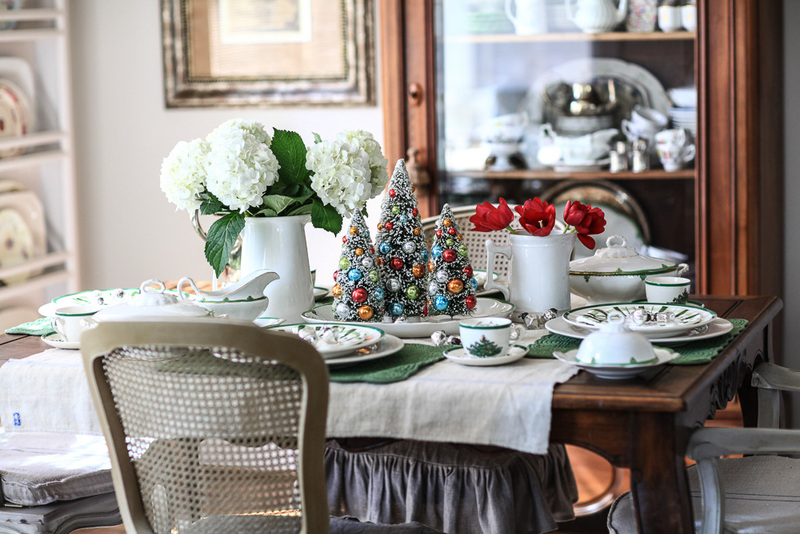 The table just oozes and boosts Holiday spirit, Anita. 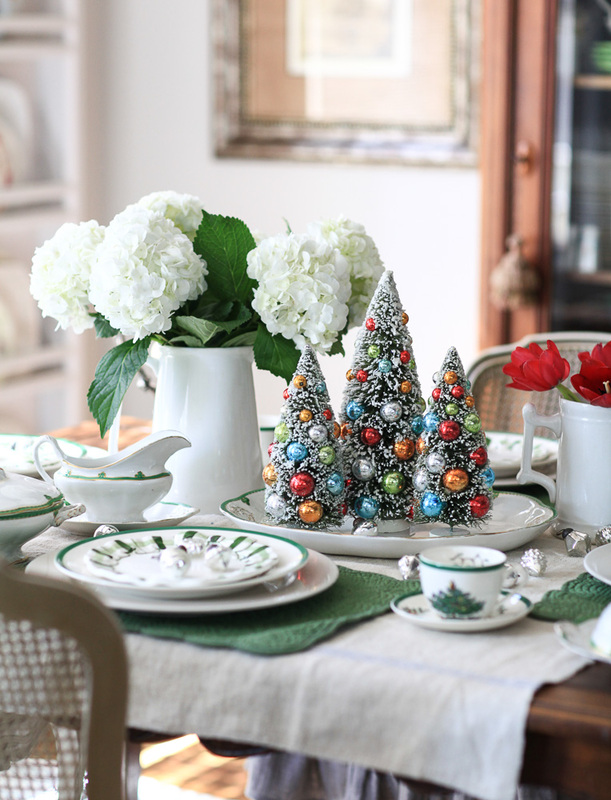 The table setting is just perfect…colors, textures …can almost smell Christmas dinner there! Thank you for so many wonderful ideas! Everything is of course so festive and beautiful!!!!! What special memories you have made for your family!!!! Love all the new finds!!!! The house looks amazing!!!! Thanks for all the fun inspirations!!!! ? Roxann…. I liked seeing how you used the decorations in your home. I didn’t know I needed bottle brush Christmas trees until I saw how you displayed them on the tray. So simple and festive! Love the little Christmas vingettes you created. As lovely as your home and decorations are, it was your beautiful collie that caught my eye. We have a collie named, “Miss” Lucy. She came to live with us after my mother-in-law died. What a blessing! Oh Molly is very popular around here too. Would love to meet Miss Lucy! Can not wait to start the Christmas decorating…..chomping at the bit!!!!!! Any way,loved it all,but the NOEL sign is a must!!! I love that you picked out the more “natural” things, not so much in the way of glitter this year. Oooooo…nice, Anita!! Thanks for the chance to win!! Btw, I love what you chose @ Kirkland’s. I don’t want to do Christmas yet!!!!! Nooooo!!!!!! It’s still sunny & warmish in northern Indiana! I want to paint the greatroom grey before Christmas!!! Tell it to wait! I do love those pillows though!!? Love the suggestions & my local Kirkland’s did have the sweet little bears(they list them as ornaments) and was in luck they’re on sale this week an extra 25% off which always makes it better! They are kind enough to hold them for me until in the morning when I can run up to the store. Love your site and this store always great décor at great prices in today’s rough economy! Of your purchases from Kirklands, my favorite is your use of the pillows. I love them both. Thanks for the chance to enter your giveaway. Your book is on my Christmas list. Love your styling so much. I really like the bottle brush trees and your cute Suburban! Hi , Anita I love your plate / platter rake ,is it specially made, I saw it for the first time on Instagram with your lavender accent plates and fell in love that’s exactly what I want in my new kitchen . Hi Anita…so adorable …the bears are so cute…I love all your Xmas decor! And what a wonderful job! I love shopping there ? And thank you for the chance to win such a fantastic prize pack! Have a great Thanksgiving! I love Kirklands and the Christmas items you found are awesome. I especially like the Bears with initials, I wonder if I could find one with a “V”. I really want the “o Holly Night” sign. It is really pretty and the “NOEL” lighted sign is just beautiful. I love lights and to have that one in my home would be great. Then the Plaid Red Pillow is the prettiest pillow ever. I really like everything but these three items are my favorite. Thank you, Anita for sharing all of these things with us. You found lots of goodies at Kirkland’s and they look beautiful in your home. I’m going to have to get that Holy Night sign. The bottle brush trees are so cute! I love the Merry Christmas gold foil pillow on the Kirkland’s website. I’ll be close enough to the store to stop in tomorrow afternoon. I’m responsible for decorating our church too and the bottle brush trees would add a cute touch in the lobby–or maybe the restroom lobby. Thanks for the ideas! I love Kirklands, unfortunately the closest store to me is an hour drive, so I don’t get there as often as I would like. Your decor is beautiful as usual. You have wonderful taste. 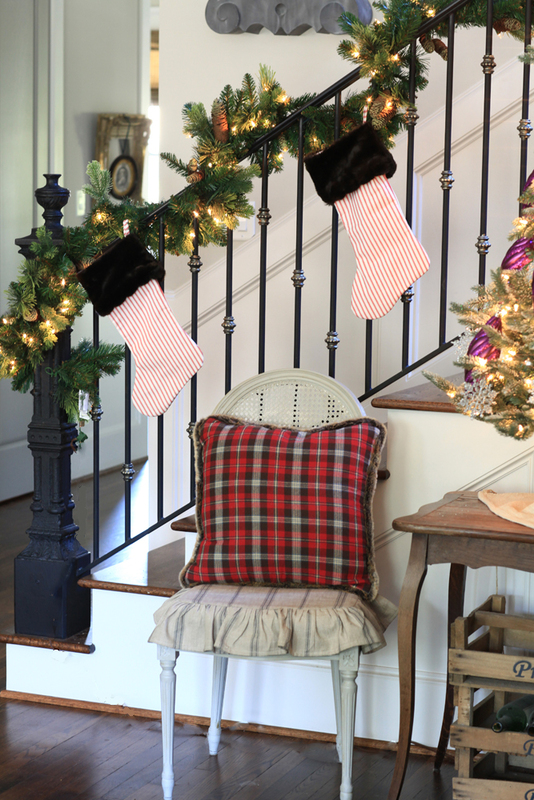 Your house is certainly getting filled up with beautiful examples of the Holiday Spirit! You do such a great job putting things together to make them look so very amazing! Beautiful items and great ideas! Thanks for sharing. Love decorating for Christmas. my 2nd baby was born on Christmas. We now have 4 December birthdays and a grandson in law will join the family next year to make 5! Lots of celebrations and decorations. Your home is beautiful. I love the bottle brush trees. Just over the past two years have I really enjoyed shopping for them. We are still dealing with recovery from flood in Louisiana. So our Christmas will look different this year, but enjoy all the beautiful homes in blog land. I’m sorry BRedd. That must be very difficult. Those bears are adorable!! I *love* the second to last photo you took. Simply stunning! It’s all so very adorable, that little panelled car is da bomb! I love mixing antiques with the cute new things, your style is awesome! Your Christmas decor looks great! Love the tree’s ,ice skates, car and signs, the bears are just too cute! I love Kirklands and love all the things you have shared with us. I especially love the car with the tree, may have to go get that even though I NEED NOTHING, for sure!!! I really need to purge my Christmas collections this year. Thanks for all this inspiration. I wish I could get paid to shop at Kirklands:):) Have a beautiful Thanksgiving, Anita! Oh Pinky, they definitely need to hire you!! I’m so jealous that you get to shop at Kirklands as part of your job! I bet it was difficult choosing items as they have wonderful things. Love what you did bring home! 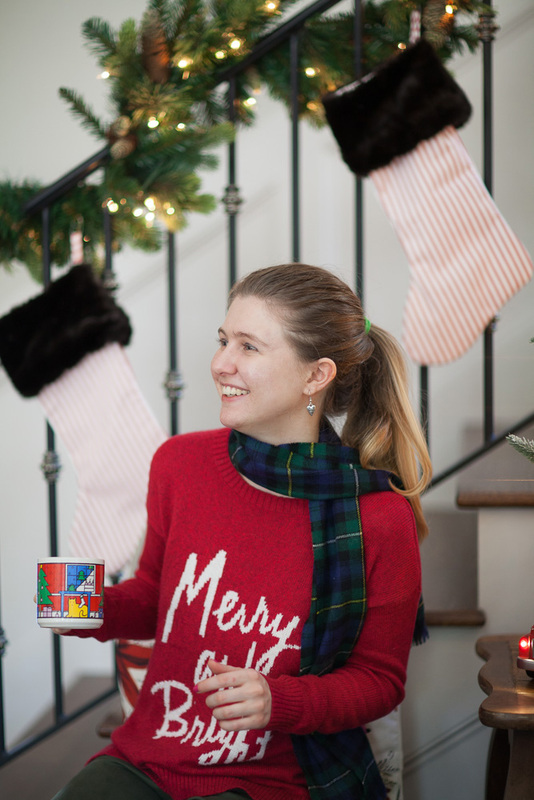 Fun Christmas decor! Cute little touches at every turn. Thanks for the holiday home tour! I love the woody with the tree. I can’t wait to get back to my Kirkland’s! Love all your Christmas Decorations. I am getting in the mood to do mine now. Thanks. 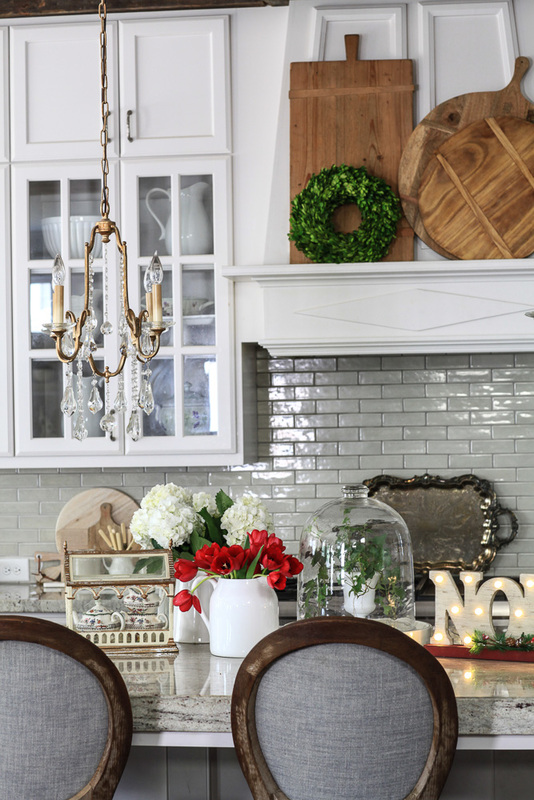 I loved looking at all of your ideas for inspiration to start decorating after Thanksgiving. Your home looks beautiful!! The plaid pillow is beautiful. Plaid seems to be so “in” this year for Christmas decor. Really enjoy how you use the boxwood wreaths! Bright enough to catch the eye without being too much. Thanks for sharing your talents! Definitely enjoying the inspiration! My two favorites are the deer pillow and the “O Holy Night” sign. Now if I can just turn this inspiration into action! 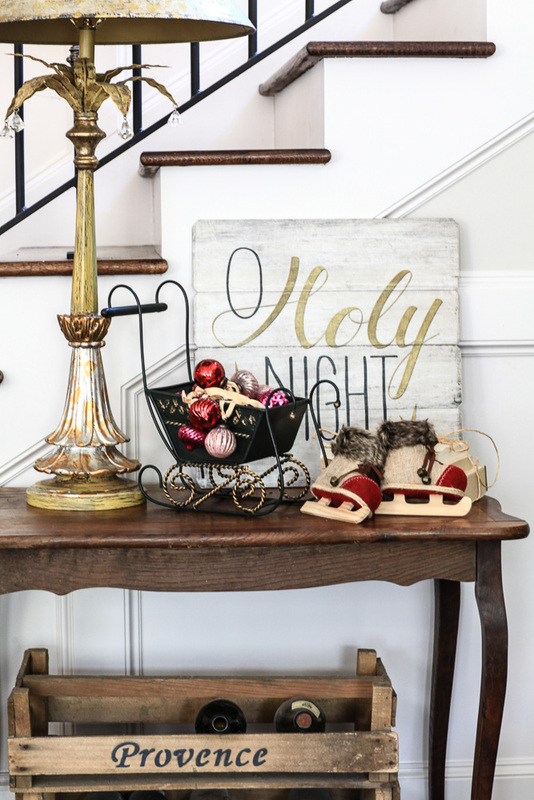 Such a pretty home, love all the touches of holiday decor and so many amazing pics. Thanks for sharing on my Party, Dream Create and Inspire. 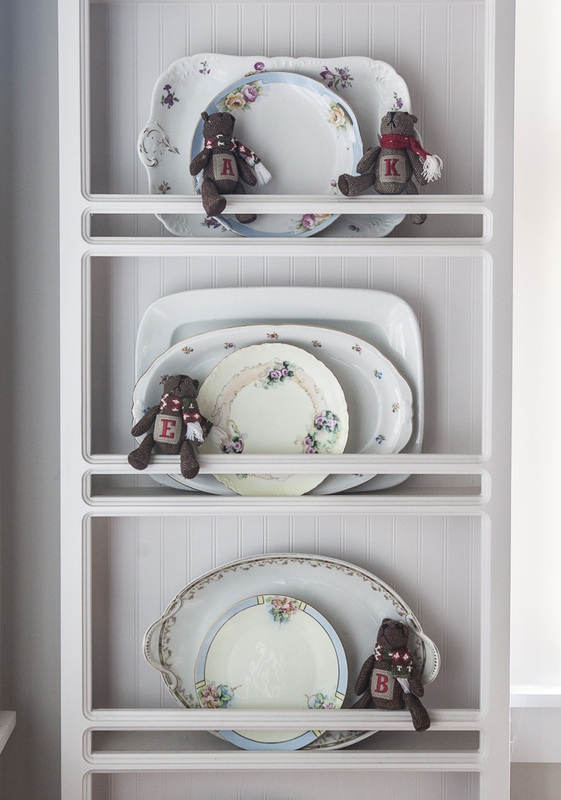 Love the idea of using teddy bears all over the house to decorate. My daughter collects bears and has a huge collection. I plan to share this idea with her. Thanks for sharing! Want to let you know how much I enjoy your blog. It is so refreshing and totally love your style. I have a large picture like the Victorian girl, frame and all, and just love it, stands out so beautifully with your other décor! Thank you for sharing where you get these things as well. Keep up the good work and Merry Christmas to you and family.